The crystal course is certified. 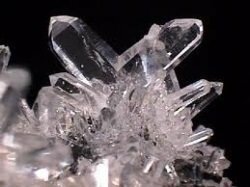 Introduction to crystals, what they are, how they are formed, identifying crystals (on-going throughout). Sources of information, recommended reading, intuition, pendulum dowsing. How to work with crystals, Pendulum dowsing, selecting crystals, intuition. The Energy System, chakras, what, where, why, which and how, major chakras, balance. Crystal chakra sets, self-healing, healing others. Laying on of stones, 17 point treatment plan, crystal body gridding, quartz stars, brushing aura, sealing aura. Treatments basic introduction, room, crystals, music, incense/oils, windows, floor or therapy bed/couch, colour, preparing yourself, your client. 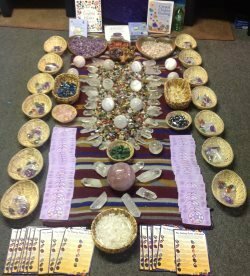 Cleansing, why, different methods for cleansing crystals, crystals for cleansing the body. Crystal balls, history, crystal skulls, meditation, space clearing, distant healing, earth healing. The cost of this Workshop is £175.00 with a non refundable deposit of £50 to secure your place, with the balance required two weeks before the start of the workshop.